After reading Mr. Grozbean's credentials, (he prefers to be called Stu) you will see why so many people have come to rely upon his advice over the years, including community/political leaders. His years of experience can help you in your legal needs. 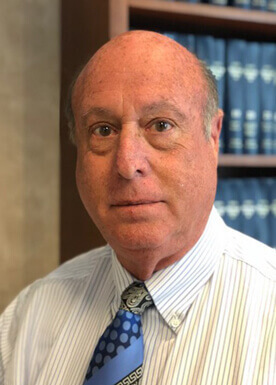 Stuart H. Grozbean was named to "Who's Who in America" and is now a life member of "Who's Who", a prestigious national recognition of outstanding professionals in the United States. He is the developer of the child support guidelines program in Maryland. His program is widely used by Judges, Magistrates and Attorneys in Maryland. Both Magistrates and Judges have consulted him on family law related questions including child support. Stu was named Super Lawyer being in the top 5% of all lawyers in Maryland. He was invited to speak before the Maryland Rules Committee about Maryland Child Support and needed changes in the Maryland Rules. His recommendations were unanimously adopted by the Committee for submission to the Maryland Court of Appeals. Mr. Grozbean regularly lectures for family law professors on family and child support laws. Mr. Grozbean has been quoted in the Washington Post, USA Today and on the various television and news channels. A former Majority Leader of the House of Representatives appointed Mr. Grozbean as Honorary Co-Chairman of the Business Advisory Council. He is admitted to the United States Supreme Court, Maryland Court of Appeals, Superior Court for the District of Columbia, U.S. District Court for Maryland, U.S. District of Columbia, U.S. Court of Military Appeals; American Bar Association, and Maryland State Bar Association; former instructor and lecturer at Law University of Maryland and U.S. government in training personnel in legal matters. His clients have included representation of corporations on the Stock Exchange, as well as other nationally recognized corporations in major contract negotiations, litigation and discrimination defense. He has successfully handled large and complex domestic matters, including prenuptial agreements, custody, property, pension and business rights. Mr. Grozbean has been contacted by numerous lawyers and political leaders around the country for advice and consultation on these and other issues requiring detailed analysis on legal issues and quoted in numerous publications. He has traveled for trial and civil corporate practice to Texas, Arizona, Florida, Canada, South Pacific and Africa. Stu Grozbean is President and CEO Support Analysis Software, Inc., (SASI) a leader in development of Legal Software receiving the prestigious Editor's Award.